Factory re-tubed 2013. No subsequent repairs / patches. Entire boat has been professionally refurbished to their highest standards. Lowrance HDS 10 and HDS 5. Broadband down and side scan sonar. Comms headset for driver and passenger. A sought after jet powered RIB that is ready for work or play. This is a boat that has undergone detailed and professional refurbishment amongst other recent work she has had an engine rebuild and new factory fitted tubes. She is fitted with an array of navigation instruments to improve overall safety as well as making her a joy for the pleasure boater or a fitting addition to any organisation's inventory. The RIB is being sold without a trailer. A choice of 4 wheeled road ready trailers is optionally available by separate negotiation,. Offered prices start at £2,000.00. Additionally, loading facilities on site to load on or into your own transport. 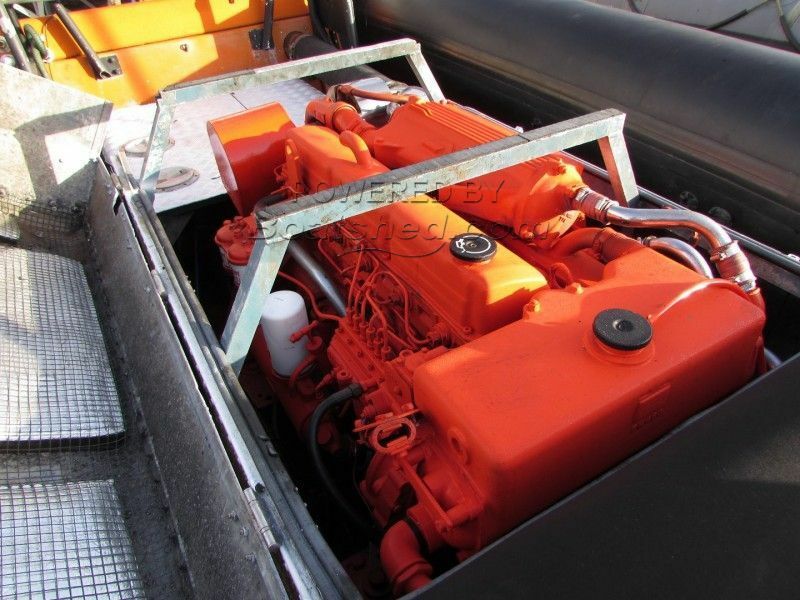 This Humber 8.5m Jet Drive has been personally photographed and viewed by Martin Docherty of Boatshed Scotland. Click here for contact details.